Greed and fear are two of the many challenges that one often faces, especially in investment and retirement planning. This is even more crucial for retirees as time—a friend of investment and retirement planning—is not on their side. Are you tempted by the idea of making a quick buck? Doing so might leave you in a menacing financial situation. Greed is a weakness of investors. There are many advertisements and promotions of “get-rich-quick” schemes but if it is too good to be true, it usually is— often with a hefty price that you would have to pay. Be it gold, cattle, land, shares, gems, pre-IPO deals, wines or even art pieces, one needs to be extra careful when there is a “promise” of extraordinary profit and quick money. Seek a second opinion or even a third one if you are in doubt over such “get-rich-quick” schemes: Seeking a professional’s advice would be useful. It is important for a retiree to be clear about his financial goals and objectives. Is there a need to invest in aggressive wealth enhancement planning for a potential higher return? For instance, do you need to be more conservative in managing your resources and market volatility by diversifying into a wealth preservation plan? There is a Chinese saying that goes like this: “As long as green hills remain, there will never be a shortage of firewood” which translates to: where there’s life, there’s hope. There is no need to take on unnecessary risks that you are not prepared to handle when you are doing financial planning for retirement, which may turn out to be costly and detrimental in your golden age. A good wealth preservation plan with periodic dividend returns might be worth considering if it meets your retirement lifestyle objectives, compared to a higher risk investment plan that might put you on a wrong track. A customised retirement plan that matches your retirement funding might complement your CPF Life annuity. It is important to set clear goals, objectives and expectations in your financial plans for retirement. Be realistic about your expectations on returns and tenure. Set up a profit and loss tolerance level, and take profit or cut losses in reference. Use your relevant objectives, tolerance level and tenure to manage your market volatility. One must recognise that volatility is a fact of life and also in investment planning. Herd mentality We usually think that if everyone believes that something is good, then that thing cannot be wrong. This is a herd mentality one should avoid. A bad decision is a bad decision regardless of whether it is just you making it or you making the decision together with the rest of your buddies. Will knowing that the others are on the wrong boat together with you make you feel much better off? A good rule of retirement planning is to minimise and manage your risk in making investment plans. Plan and invest wisely on something that suits your needs and fits your requirements, instead of following the herd. One of the latest financial products in the market is a currency fixed deposit (FD) on GBP (British pound) which offers a potential return of up to 0.6% p.a interest. The flyer suggests taking a position on Brexit (Britain exiting of European Union (EU)) in consideration of your GBP FD. Questions are: Is the risk worth the potential return? Are you familiar with the subject? Are there any other available alternatives? Avoid going into investments and assets that you are not familiar with or have limited knowledge about. A good retirement plan should be something you can easily comprehend without unnecessary technicality or jargon. It should be “KISS”: Keep-it-simple-and-sweet! While time is a friend of financial planning, especially in investment, time is a limited commodity for the retiree. If the investment turns volatile or worse, goes out of track for various reasons, you might not have the spare resources nor capacity to sit through the volatility. Do not risk more than what you are prepared to lose. A retiree without spare resources and no longer in an income-generating mode might be hard-pressed to cut losses. Fear gets in the way of cutting losses and one would rather just hope for a “better tomorrow”. But more often than not, the “better tomorrow” never comes and the investor ends up financially much worse off. Did you read the news about a widow who received donations and contributions from the public amounting to more than a million dollars when her spouse met with an accident? Twelve months later, the same widow hit the news again, this time for a wrong reason— the money was all gone. There are more stories with similar story lines, but hopefully none which you have encountered personally. A “sudden” lump sum of money in your bank account upon retirement can be a good safety net, yet it can also be a challenge to manage this money wisely, be it pension fund, maturity of an endowment plan, inheritance or other relevant sums of money. Life is uncertain. While one should refrain from greed, it is also true that a little more is often better than a little less. In retirement, an unplanned event can send you off track, and significantly impact your asset and cash flow. This impact can be magnified especially when there is no steady flow of income during your retirement years. You can reduce or transfer your risks. One way of doing this is by having a suitable insurance plan. A good plan will enable better cash flow management, especially in the case of an unplanned event. An unplanned event can happen in daily activities or on an overseas vacation. 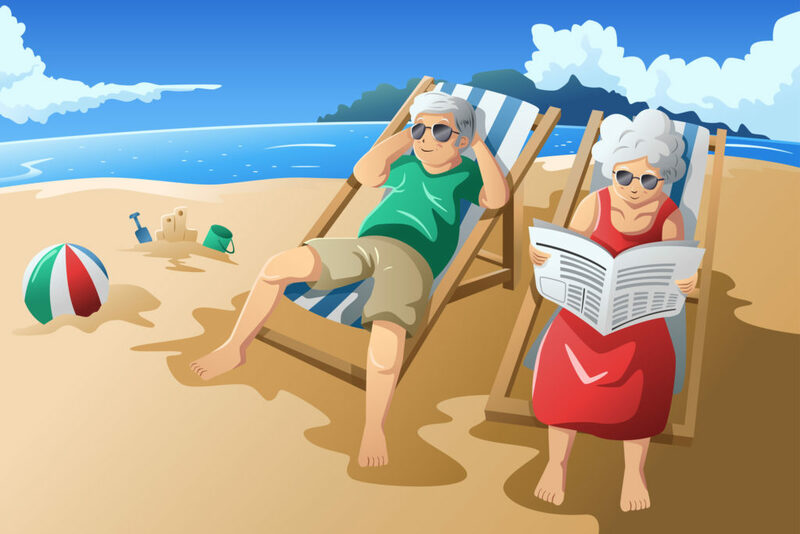 It pays to start planning as soon as possible for your retirement, regardless of your age today or even if you have already retired. No one plans to fail, but many fail to plan.